Those claws, they sure are useful. 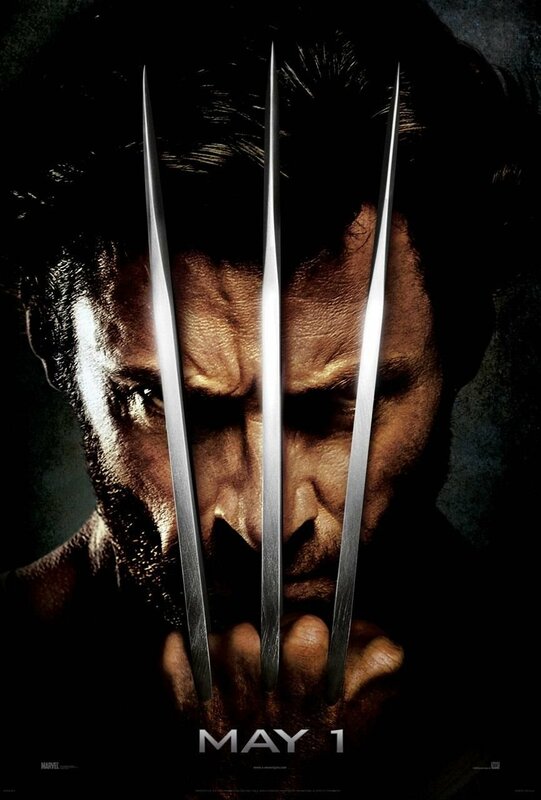 They can represent a three if you’re advertising the third X-Men film, or they can represent a W if you are advertising the first Wolverine movie. Is there anything they can’t do? Well, I guess it would be hard to make a D. Hmmm. I’m a little torn about this poster. On one hand it is hard not to think back to the last X-Men poster when seeing those claws. On the other hand having the claws on top of Wolverine’s face makes for a dark and angry poster, which somewhat limits it’s appeal. I think X-Men had a broader than expected appeal due to the large and varied cast of characters, which included several women. This film might find replicating that appeal hard. On the third hand, this is Wolverine, so what are you gonna do? Show a romantic poster of Logan smiling and holding tight some girl as they take a stroll down the park? If only your over-analyzing skills could be used for good. Um, Gus, it’s Hugh Jackman. Surely that’s enough to appeal to females. That’s probably the only reason why I’d watch the film if I could, though only if I didn’t have to pay for it. There are some fascinating points in this article however I don’t know if I see all of them middle to heart. There’s some validity however I will take hold an opinion till I look into it further. Good article , thanks and we want more! Added to FeedBurner as well.